There were no surprises when Federal Reserve policymakers Wednesday released their statement after a meeting which was expected to provide insights as to when they will raise interest rates. Fed watchers still expect the central bank to begin a gradual rate increase as early as September. Fed Chairman Janet Yellen has made it clear that she is looking for signs of improvement in the job market before she makes a move, and today’s statement indicated she feels the labor force is on the right path. While seeing headlines about rising rates can make us nervous about all sorts of things, it’s important to remember that rates are at historic lows and Ms. Yellen & Co., are at minimum, a slow and steady bunch. “This is not going to be like the previous rising rate cycles where the Fed raised rates at every meeting,â€ says Greg McBride, chief financial analyst at Bankrate.com. 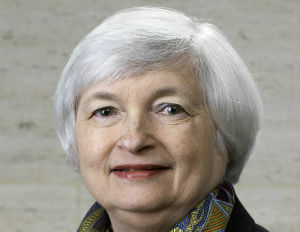 “Once the Fed starts, they’ll pause in between moves to assess the economy. The pace will be gradual, and the ultimate end points for interest rates will still be a lot lower than we’ve seen in past years,â€ he adds. McBride does caution, however, that consumers must be mindful of the fact that even though rates will remain low by historic measures, they will still feel the effects in their budgets, particularly homeowners with adjustable rate mortgages. “The cumulative effect of a rate hike over the next few years could mean a few hundred extra dollars out of your budget each month if you have an adjustable rate mortgage. Now is a great time to refinance into a fixed rate mortgage. At the moment, an adjustable rate may be lower, but that will change as rates move higher. 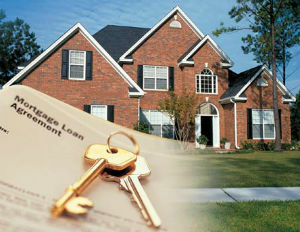 A fixed rate offers permanent payment affordability, and you know what it’s going to be each month,â€ says McBride. The 30-year fixed rate mortgage is currently at about 3.75%. As for prospective homebuyers feeling pressured to lock in rates while they are low, McBride and others say relax. Mortgage rates are not going to skyrocket and home purchases should be based on life events such as a job change or needing more space for a bigger family.